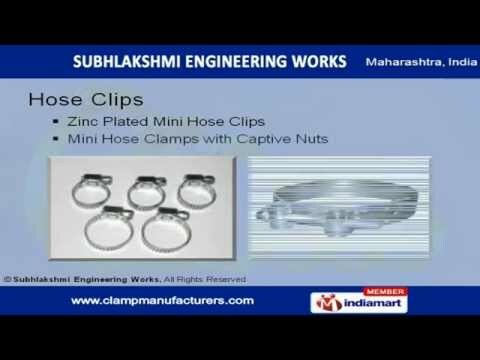 Welcome to Sublakshmi Engineering Works Manufacturer & Exporter of Bolts, Clamps & Hose Clips. The company was established in the year 2007, at Mumbai. Our products are manufactured as per O.E.M. specifications & international quality norms. Our State-of-the-art infrastructure, customized solutions, Timely & prompt response makes us unique in the industry.Our products are applicable in Defence, Electrical assemblies, Railways & other industries.Our vast range of products include Clamps, Hose Clips, Machine Parts & Components. Worm Drive Hose Clamps, Heavy Duty Bolt Clamps are some of the products that are available under Clamps. We offer Hose Clips that are well known for their durability & reliability. Our range of Machine Parts & Components include Pression Trunning Part, Truned Part, Sheet Metal Parts & Components.We also provide Metal, Hydraulic & Industrial Clamps that are a class apart.